Wayne Coyne’s directorial debut, Christmas on Mars, is a kitschy, homespun masterpiece that subverts film-judging criteria the way Ed Wood’s B-movies must have when they were first compared to horror back in the day. Co-directed by Bradley Beesley and populated with many local Oklahoma City characters, including most of Flaming Lips, Coyne’s brothers, Denny and Kenny, and his wife, starring as the female of the film, Mother (Michelle Martin Coyne), Coyne explains in extras interview footage that the movie took seven years to complete simply because the musician shot between tours. Rumors of this film’s release have been floating around forever, and the wait was worth it. Christmas on Mars, plot-wise, stars Major Syrtis (Steven Drozd), the captain on a spaceship who notices, between hallucinations of a baby dying, that the crew is in danger due to malfunctioning equipment. Clues include psychosis, as experienced by a man the script calls Astronaut Confronting Cosmic Reality (Kliph Scurlock), and other bizarre hardships, as other crew members that Major Lowell (Steve Burns) and the Sunglasses Wearing Astronaut (Michael Ivins) can attest to. The resident Psychiatrist (Adam Goldberg) tells everyone to chill out on the baby visions, which look like 2001: A Space Odyssey and Eraserhead, to no avail. Lucky for everyone, a mysterious green-faced Martian, played by Coyne, comes to the rescue. Christmas on Mars is not about plot originality, as it screens more like a tribute to Coyne’s favorite sci-fi films. Made almost exclusively in Coyne’s backyard, the sets impress because they really transport the viewer to space despite being made of recognizable hardware store materials. Each scene, and its way of either slowing down or speeding up time, feels deeply imagined from the subconscious. What matters is the film’s undoubting sincerity. Filmed mostly in black and white, blasts of color during moments of psychic realization surrealistically tie the film’s visuals to Flaming Lips music, in which guitars and heavy drums explode rhythm. Moreover, the score serves the film well, carefully blending ambient, electronic space-age melodies with moments of sonic chaos. 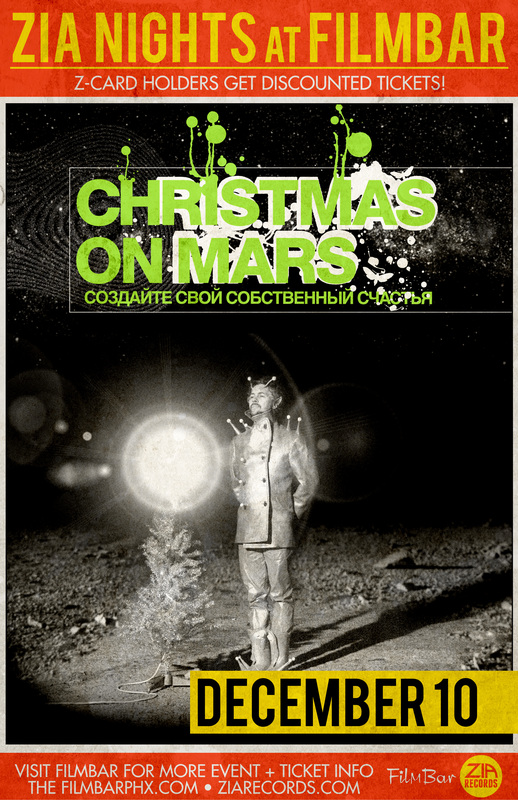 Christmas on Mars is another of Coyne’s attempts at expressing tension between peace of mind and utter insanity, and an undying, Lovecraftian attraction to abyss.